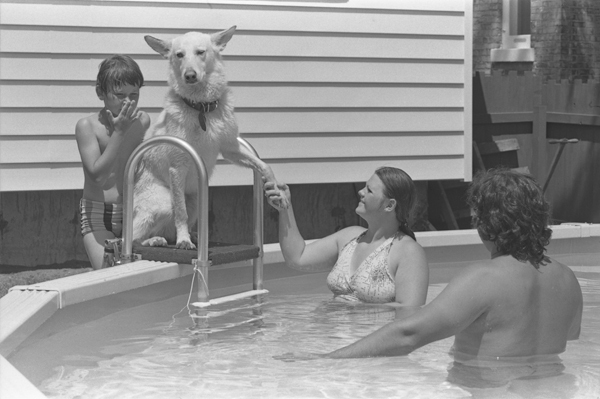 In July 1977, London Free Press photographer Mike Jordan submitted a roll of negatives of a dog in a pool at 79 Weston Street. 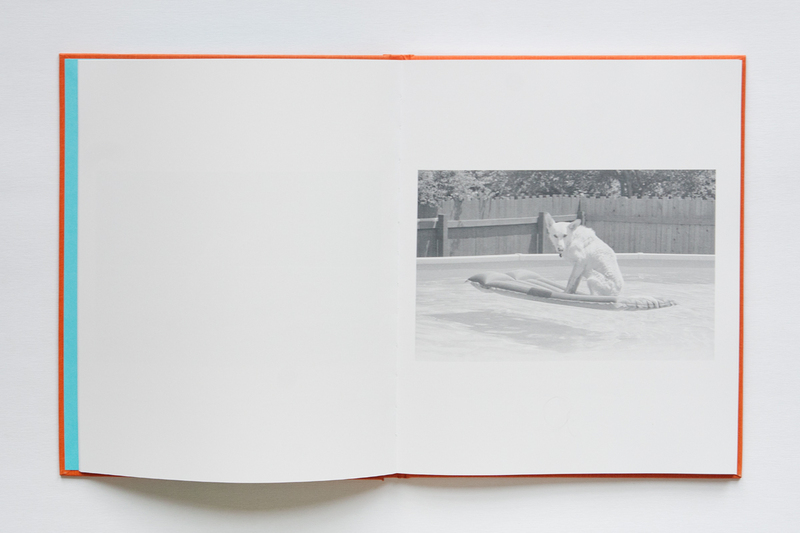 Two of the twenty-two images were printed as a lifestyle feature on the unseasonably hot weather of that summer. 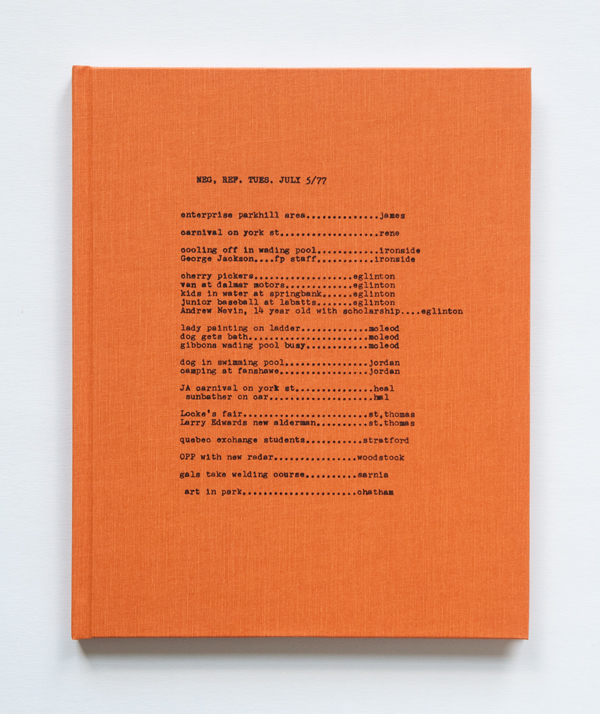 dog in swimming pool reproduces all of Jordan's images and pairs them with new texts by artists Kelly Jazvac, Kim Ondaatje, and Lena Suksi (all formerly of London).